The Street announces small batch ice cream store Rancatore’s will open tomorrow, June 17th, in The Pop-Up, its storefront devoted exclusively to a rotating mix of local brands. Rancatore’s will occupy the space through August 21st, bringing flavors such as Tiger Milk, Hydrox Cookie, Orange Fennel, and Dulce de Leche to The Street during the height of summer. The Pop-Up at The Street is located at 3 Boylston Street in Chestnut Hill, near Star Market and the newly opened MiniLuxe. 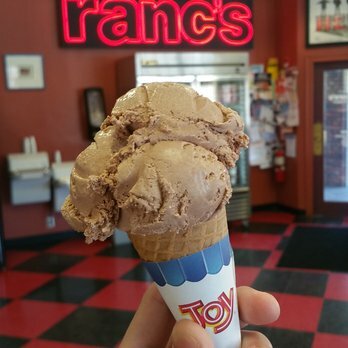 Rancatore’s has been serving made-from-scratch ice cream, yogurt and sorbet for 31 years. The shop is also loved for its hot fudge and specialty frappes. Rancatore’s will occupy The Pop-Up from Friday, June 17th through Sunday, August 21st and is open seven days a week from 11am-11pm. Rancatore’s has additional locations in Lexington, Belmont, and Newtonville. This is the brand’s first pop-up. The ice cream maker will be The Street’s eighth tenant inside The Pop-Up since the concept launched in November 2015 with a mission to celebrate innovative and local small businesses. Its 409-square foot space has hosted the market’s leaders in fitness, food, floral and knitwear, including Papers & Presents, Sweet Lydia’s, Legit Activewear, Kane’s Donuts, Alice’s Table, The Third Piece, and OMG! Bagels.